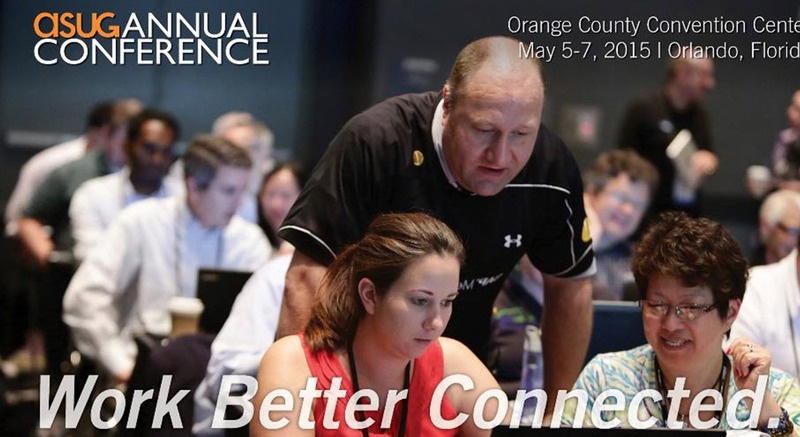 This is my 5th year on the ASUG Annual Conference Program Committee and at this point I ask myself “have I done enough”? Next week we will see. As ASUG Volunteers, we are measured on the attendance counts at our sessions. If attendance is low, then next year we may not obtain as many slots. So as Volunteers we have promoted our sessions, asked our speakers to help promote sessions, and I hope the content is good enough. It really takes a village of volunteers to look at the presentations, provide feedback to the speakers and then follow up. If you are a speaker, I encourage you to follow the deadlines provided, read every single e-mail, and promote your session. This year we had no speaker cancellations in the program area I work – and this is strange. It is good because the schedule doesn’t need to be updated. On Monday we kick things off with the a sold-out ASUG Pre-conference session with Visual BI’s Ingo Hilgefort. Ingo is the master at creating in-depth exercises and slides that you can take with you. He always senses when you need help. The last pre-conference I did with him he helped me with SAP Lumira. Now I look forward to more in-depth help with SAP Design Studio from him. On the ASUG side we’ve written these promotional e-mails to go out as well. Is it enough for attract people? As ASUG Volunteers we tried to follow the survey responses and obtain roadmap sessions and customer stories. I invite you to join us on the the third floor of the convention center. I’ll be in rooms S330F, S330G, S330E, S330H Tuesday-Thursday.